Imagine never knowing the sensation of tickled feet, never dipping your toes in a running stream, never feeling the sand between your toes. 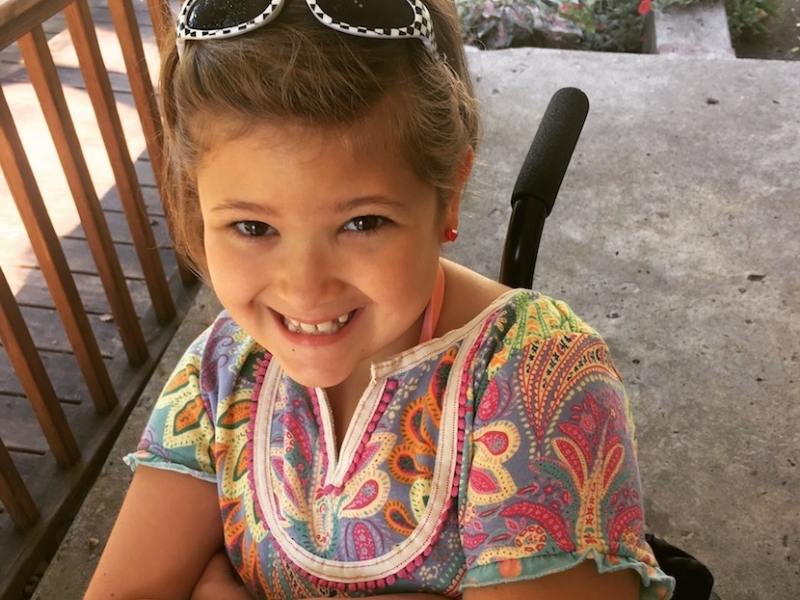 Eight year-old Kyndle has never known these seemingly insignificant experiences that most of us so often take for granted. Her parents, Katie and John, have never had to comfort their crying daughter after she skins her knee or stubs her toe. Instead, because Kyndle has no sensation below the hip, her parents must be ever attentive to make sure she does not have a scrape on her leg or blister on her toe. The smallest wound which, for most, would be inconvenient at best, has the potential to become a life-threatening infection for Kyndle. Unfortunately, an emergency room visit for Kyndle is as routine as going to the grocery store for everyone else. 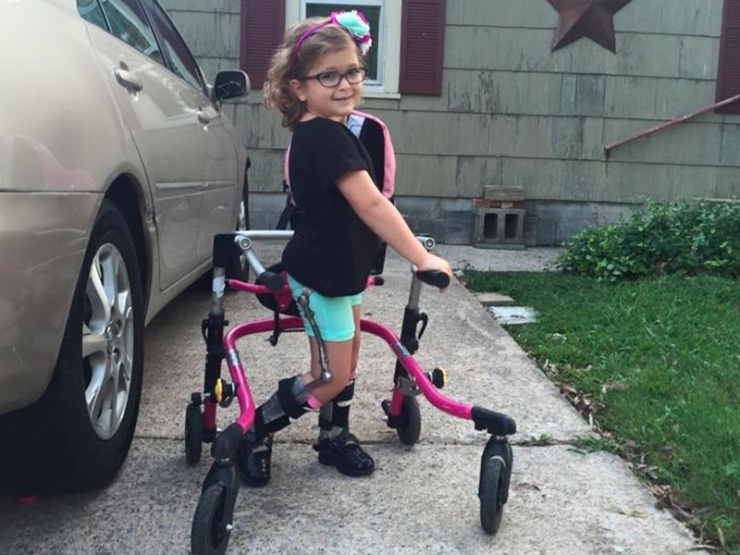 In only eight years, she has endured thirteen surgeries. 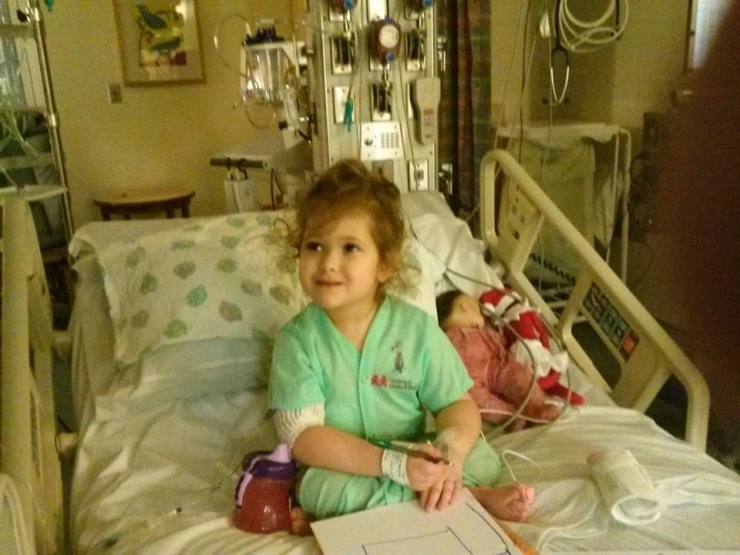 Kyndle’s first surgery occurred when she was only two days old in which an opening in her back was repaired. The opening, which left a portion of her spinal cord exposed, was due to Myelomeningocele Spina Bifida. Spina bifida is characterized by incomplete closure of certain bones of the spinal column. Myelomeningocele is the most severe form of Spina Bifida because it causes partial or complete paralysis of the parts of the body below the spinal opening. 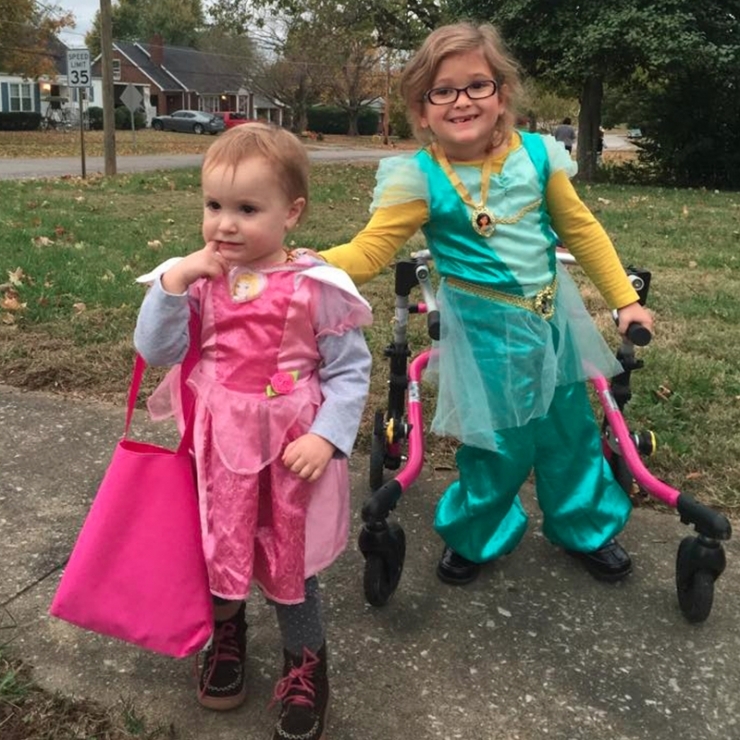 Because of her diagnosis, Kyndle has never taken an unassisted step in her life. She relies on a walker or wheelchair for mobility. Additionally, Kyndle was diagnosed with hydrocephalus or water on the brain. As a result, a shunt was placed in her brain to control the excess fluid. Since having her shunt placed, Kyndle has had a total of nine surgeries to replace or revise the shunt in order to support her growth and development. Therefore, Kyndle and her family are extremely cautious of the types of activities she participates in taking extra care to protect her head at all costs. Even activities that don’t pose a threat to her shunt -- such as playing on the beautiful new playground down the street is just a pipe dream for Kyndle. Neither her walker nor her wheelchair roll across the shredded tire mulch, which makes the play equipment inaccessible. Unfortunately, this is an all too common occurrence as most childhood activities are complicated by a lack of accessible parks, restrooms, playgrounds, homes and beaches. However, onlookers would never know that Kyndle faces discouragement and disappointment on a daily basis. Instead of focusing on the things she can’t do, Kyndle pours all of her energy into cheering for others. She never misses a chance to cheer for her cousins and her best friends at their soccer games and other sporting events. 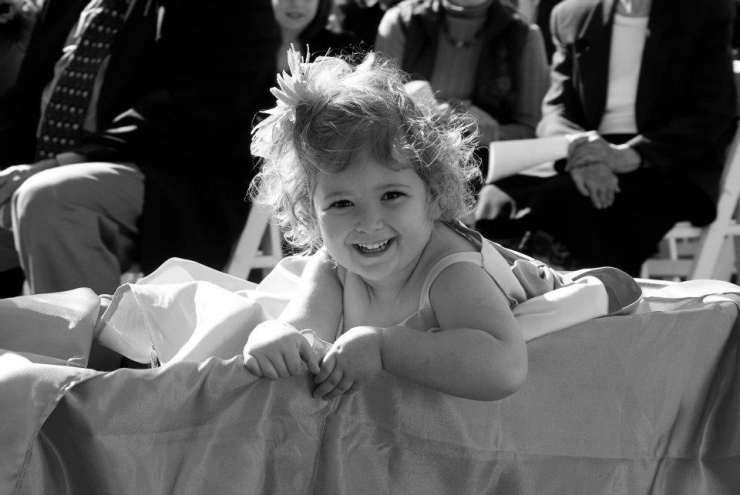 Some of Kyndle’s loudest, most enthusiastic cheers are reserved for her two-year-old little sister, Stevie. She constantly tells Stevie how beautiful she looks when playing dress up even though she will never herself know what it feels like to wear Cinderella’s glass slipper. 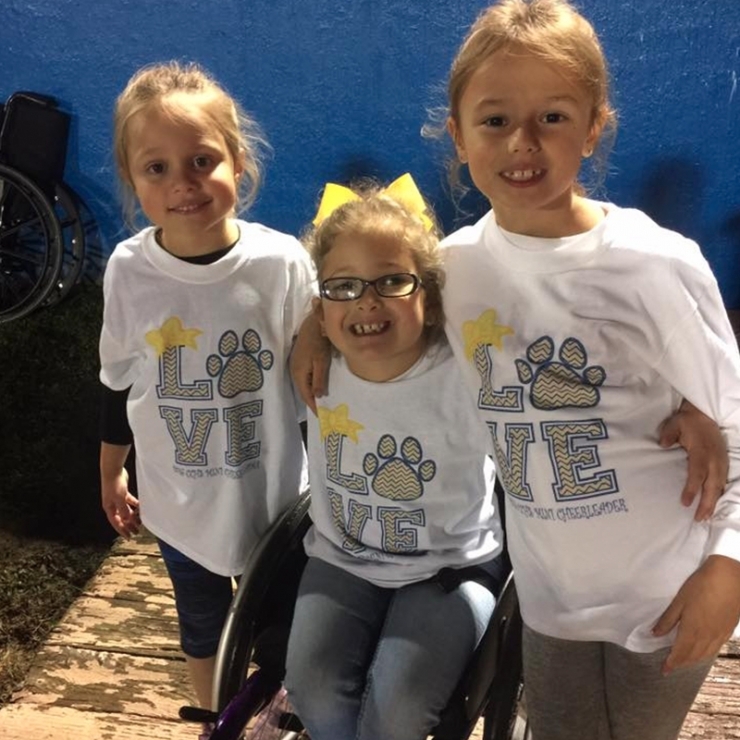 Inspired by Kyndle’s selfless enthusiasm for others, we decided that it’s time for this cheerleader to move from the sidelines into the spotlight. It took months of coordination, but earlier this year, we partnered with the incredible team at Global Genes, one of the leading rare disease patient advocacy organizations in the world, and our rare disease promotional partner. With the mission to eliminate the challenges of rare disease, they build awareness, educate the global community, and provide critical connections and resources that equip advocates to become activists for their disease. Together we planned a partly secret co-branded grant! Global Genes flew Katie and John from their home in Kentucky to Huntington Beach, CA, put them up at the Hyatt Regency Resort & Spa, and awarded free entry to attend the entire summit. Unbeknownst to them, attending the RARE Patient Advocacy Summit was only the beginning. Chive Charities’ Senior Program Director, Angie Cone, and Director of Strategic Development, Erika Carley, met Katie and John at the summit. Staying tight-lipped about the surprises ahead, Angie and Erika did a little coaxing (and a little deception), and got these amazing parents to the Global Gene’s Gala -- the last event of the summit. 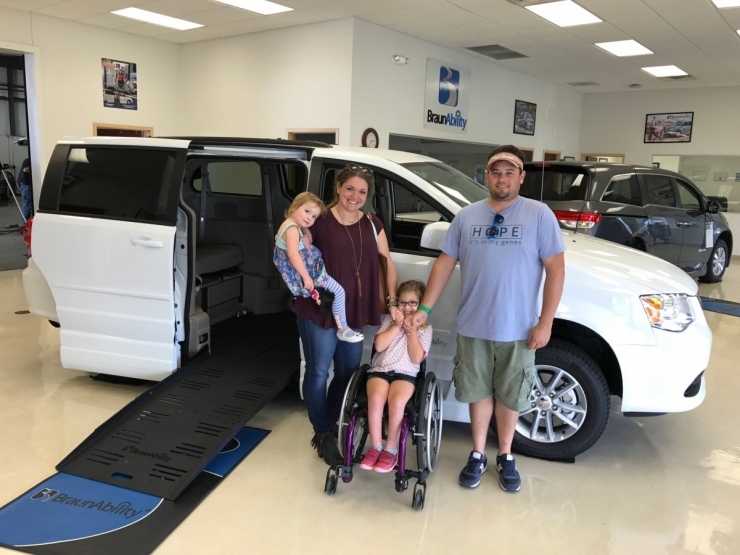 There they were given the opportunity to present one very deserving, unexpecting family with a $53,000 2016 BraunAbility Wheelchair Accessible Dodge Grand Caravan SXT. We could think of no one more worthy than Kyndle and her family. ...And it didn’t end there. To top it all off, Global Genes presented a Freedom Concepts Adaptive Bike for Kyndle. Tears and smiles all around! 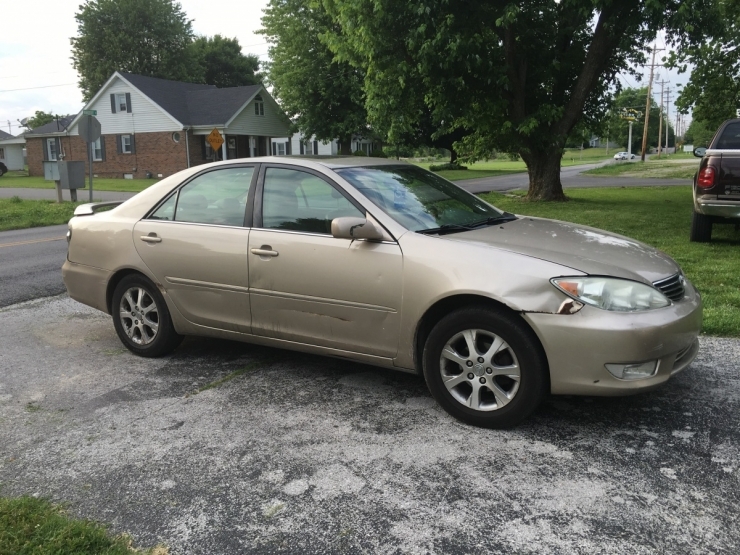 Before receiving the grant, a vehicle had to be borrowed in order for Kyndle to attend her doctors appointments because the family vehicle (pictured above) was not large enough to haul all of her necessary equipment. Now not only can her new van accommodate all of her equipment, but it allows the entire family to ride together safely and comfortably. This van does so much more than provide transportation from point A to point B, it ensures that Kyndle is no longer stuck on the sidelines and enables her to be an active participant in her own life. It is incredibly unjust that accessibility or lack thereof has robbed Kyndle of participating in activities that every child should get to enjoy. 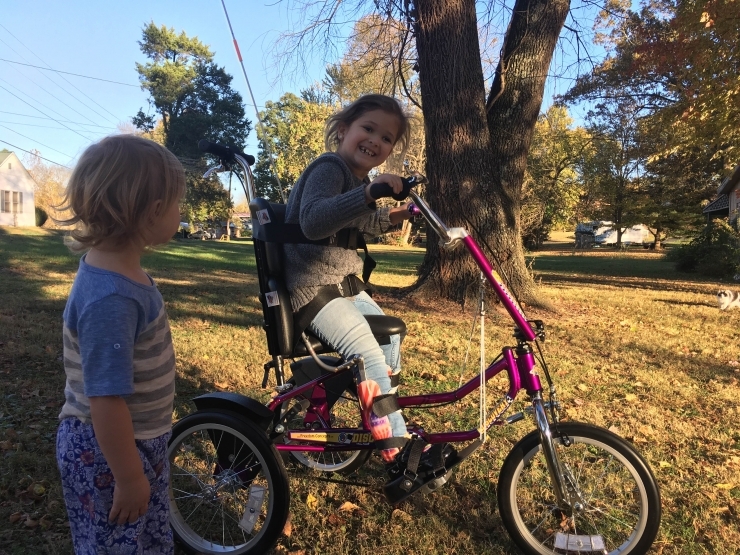 Now, with the adaptive bike from Freedom Concepts, Kyndle can independently ride with her friends through the streets of her Kentucky neighborhood. 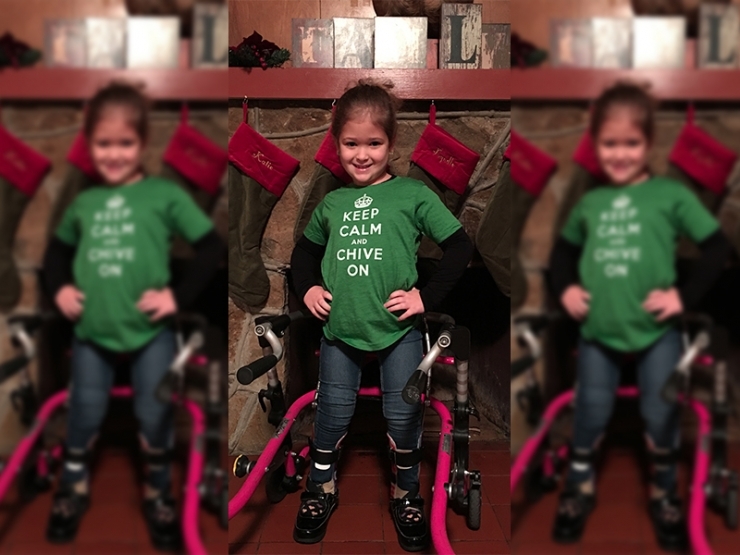 Thank you to Global Genes, Freedom Concepts, and most importantly, our Chive Charities members for giving Kyndle a chance to shine. Now the tables have turned and this cheerleader has an entire community of people cheering for her! To champion deserving recipients like Kyndle, become a monthly Green Ribbon Fund donor HERE. 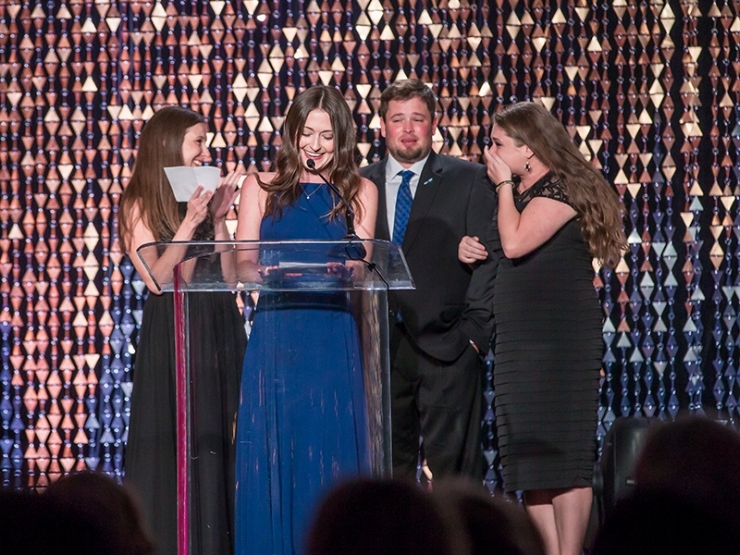 Watch the full presentation of the surprise grant at Global Gene’s RARE Patient Advocacy Summit HERE.